Across its various forms and incarnations, Google's new "universal" helper seems to be suffering from a bit of an identity crisis. Google Assistant is suddenly on its way to being everywhere. It's the heart of the new Google Home tabletop gadget, it's the secret sauce inside the new A.I.-enhanced Google Allo chat app, and it's a core feature of the new Pixel flagship phone. And all of that's just the start: Assistant will almost certainly be expanding onto even more Android devices (and non-Android devices) in the foreseeable future. Make no mistake about it: This feeling of omnipresence is very much part of the plan. Google describes the Assistant as a universal friend -- a helping hand that knows you, learns from you, and is always there for you, no matter where you are or what type of interface you're using. There's just one problem: Our universal friend seems to have a few different personalities. 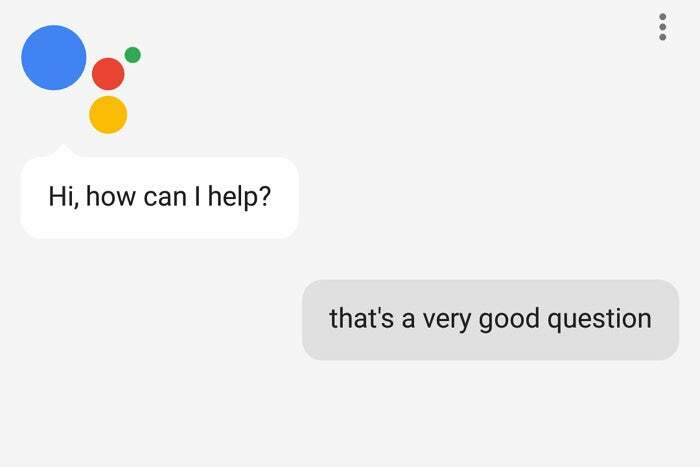 It's hard to know which one you're going to get in any given context -- and as a user, that makes it hard to know what Assistant can actually do and how you can use it. The Google Assistant that's part of the Pixel's main interface, for instance, can open apps for you. Hold down the Home key (or say "OK, Google") and tell the Assistant to "open Chrome," and -- ta-da! -- it opens up the Chrome browser. Try the same with the Assistant in Allo, and it gives you Google search results for the term "open Chrome." 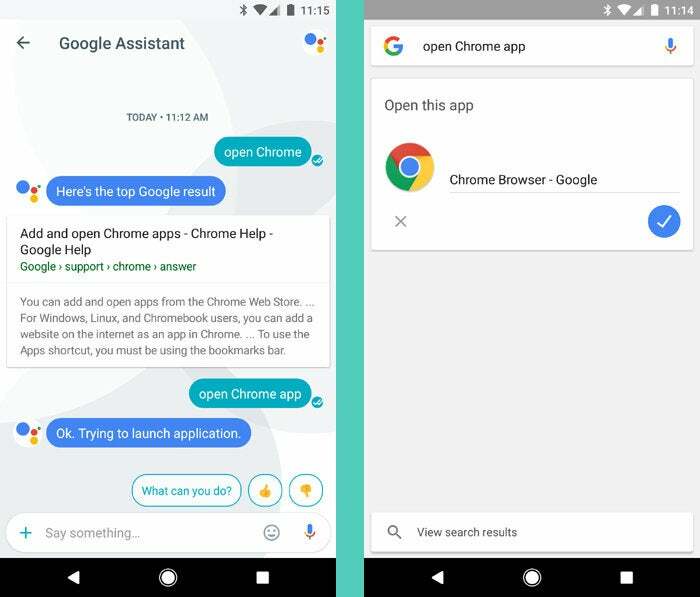 Change your phrasing and say "open Chrome app," and the Allo-based Assistant will get the message -- but it still won't actually open the app, as the Pixel-based Assistant does; instead, it'll open another screen on which you can tap a button to open the app. OK, Google: Why doesn't Assistant work the same way everywhere? This is just one of many examples of Assistant's inconsistencies across its various incarnations. Tell Assistant on the Pixel to "take a photo," and it'll open the Camera app and start a three-second countdown; do the same in Allo, and it'll open the Camera app but not start a countdown. 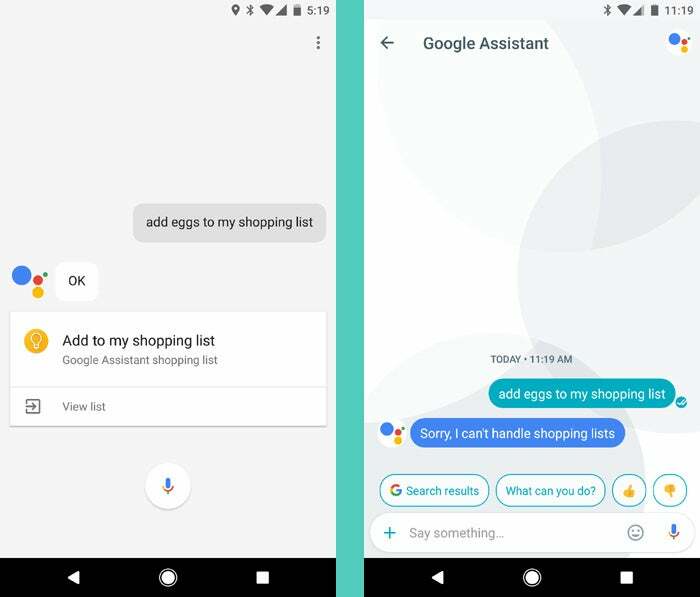 Tell Assistant on the Pixel to add something to your shopping list, and it'll take care of it in a jiff; ask the same in Allo, and the Assistant there will bafflingly tell you it can't handle that command. The Assistant in Google Home, meanwhile, can cast videos and audio to Chromecast and Chromecast Audio devices. The Assistants on the Pixel and in Allo cannot (even though that same capability would certainly make sense from a phone). But then there are also things that work with the Assistants on the Pixel and in Allo that don't work with the Assistant on Home. I could keep going, but you get the point. For a universal assistant that's supposed to be there for you everywhere, it sure is bewildering how Google Assistant doesn't do the same things in the same ways across all its different forms. And that's actually only part of the problem. Assistant, as we've discussed before, is essentially an expanded and rebranded version of what we've previously called Voice Search (along with a sprinkling of elements from Google Now and Now On Tap). And despite Assistant's prominent placement in the Pixel interface, the regular old Android Voice Search system is also still present in various places within the phone's interface. Tap the "G" icon at the top of the Pixel's home screen and hit the microphone button there, and you'll see the familiar four colorful dots -- the same ones you see when you activate Assistant -- indicating the system is listening for your commands. There, however, it isn't technically Google Assistant you're interacting with; it's the similar-but-somewhat-different Google Voice Search. The same applies if you hit the microphone icon atop the Google feed (formerly known as Google Now) on the Pixel's leftmost home screen panel. You can still give voice commands in those places, but the results you get will often be somewhat different than those provided by Assistant. The two systems also vary in their capabilities -- and not in the way you might expect. To wit: The old Voice Search system can read your recent text messages aloud if you ask. 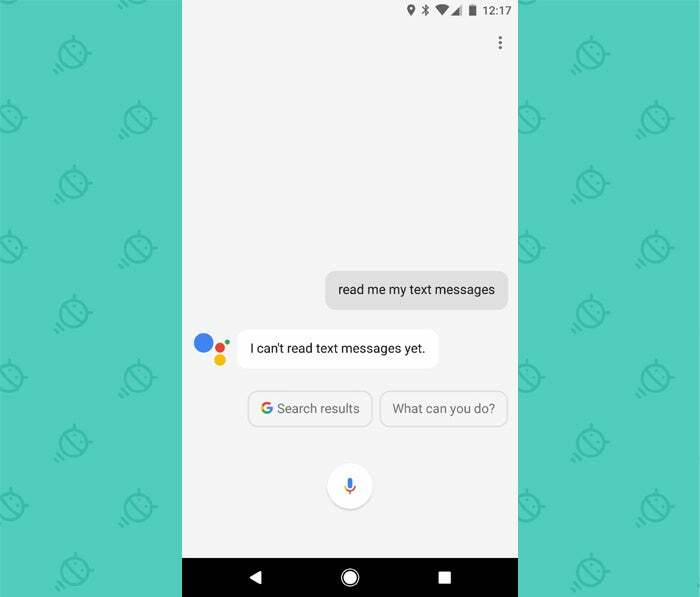 Try the same request in Assistant, and it'll tell you it's not yet able to perform that task. Same goes for asking for your bills, identifying a song that's playing, or trying to control your Nest thermostat (though that last one is possible with the Assistant in Google Home -- go figure). "For that function, please use the other (lowercase) assistant on your phone, which generally looks and acts very much like this one." These inconsistencies are confusing enough for tech-savvy folk like us. Imagine how confounding they'll be for average smartphone users -- the very sorts of people Google is trying to target with its Assistant-aided push into mainstream consumer hardware. The idea of a universal assistant that's available to you everywhere -- "across all the contexts and devices in your life," as Google puts it -- is certainly appealing. But if Google wants its Assistant to be something regular people understand and embrace, it's first going to have to figure out for itself what Assistant is supposed to be and establish a consistent and uncomplicated vision. Otherwise, what we have isn't actually a "universal assistant." It's a series of similar-looking and confusingly overlapping products that do slightly different things in slightly different ways, with no obvious method to the madness. And that, my friends, is not only a disservice to users; it's also a direct contradiction to Google's own central mission for what its Assistant should be.